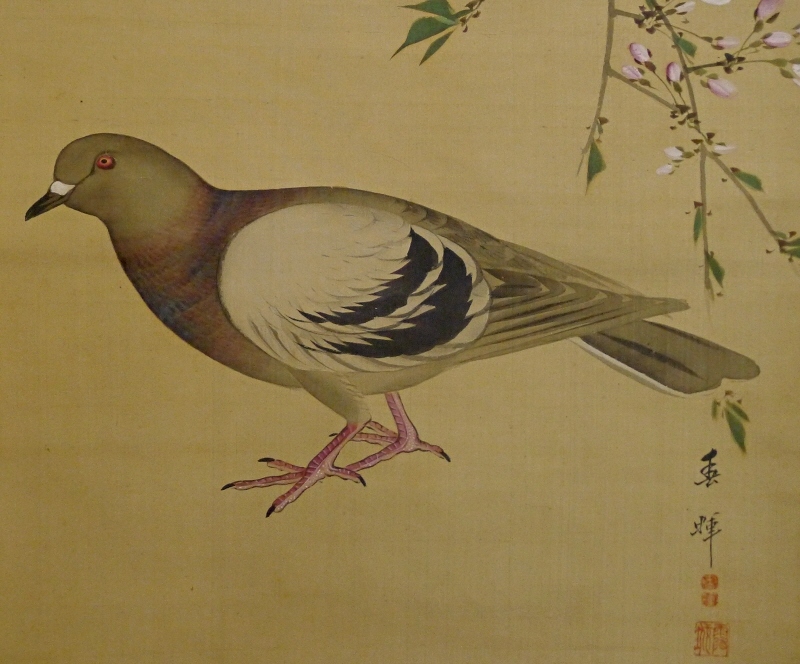 Title" Hato Dove Bird under Sakura Cherry Flowers "
We estimate it was painted over 60 years ago. 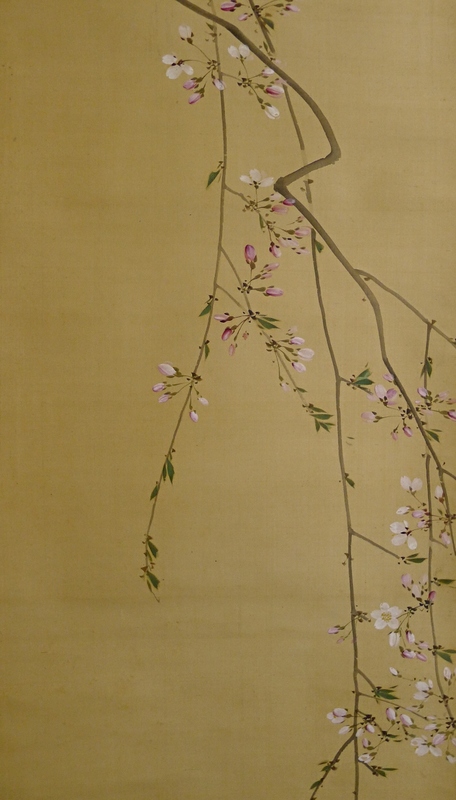 There are quite a few faint spots on the mounting, though, those are not so noticeable. 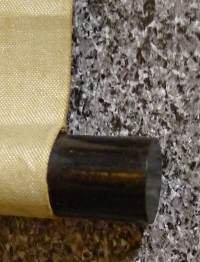 There are some small spots on the drawing part. 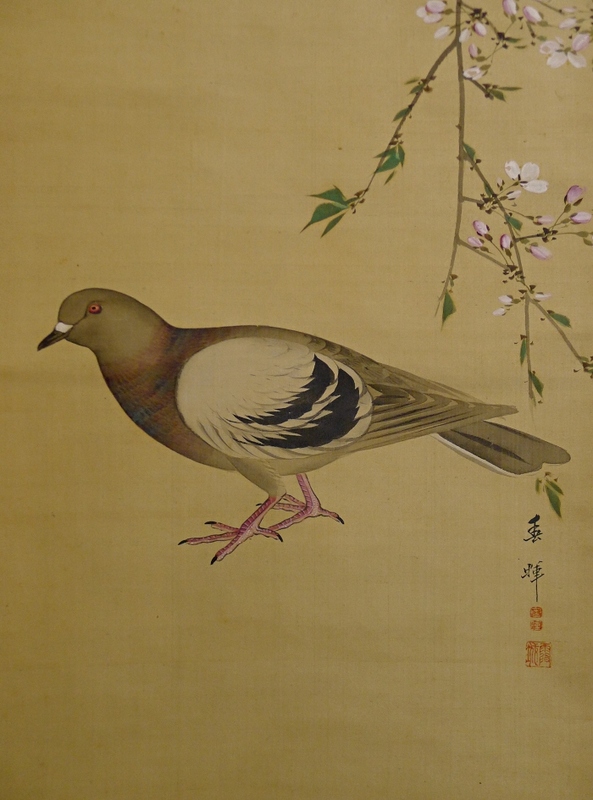 A Japanese pigeon (Hato bird) is painted elaborately and Sakura flowers (Japanese cherry tree) are depicted simply.